For most people, losing $2.7 billion over the course of a year would be considered slightly less than stellar. For Ford, on the other hand, that's actually a pretty good year. We're not being sarcastic. In 2006, the company lost $12.6 billion. To fully understand what really happened you have to embrace the mixture of complicated transactions, production cuts, PAG sales and Mark Fields not using the company jet to get home (he also cut back on using the company barber, thus reaping untold savings). But it may be easier to point out that Ford has made steps to get on the path to profitability, and they're moving in the right direction (or at least not moving in the wrong direction as fast as they were). Also, Ford is banking profits in every region of the world that isn't North America, including a pre-tax bump of $1.2 billion in Brazil. For the Fourth Quarter of 2007, Ford only lost $429 million after taxes, an improvement over a nearly $2.0 billion loss the year before. The full story from Ford below the jump. * Full-year net loss of $2.7 billion, an improvement of $9.9 billion from 2006. Fourth-quarter net loss of $2.8 billion, an improvement of more than $2.8 billion from 2006. * Excluding special items++, full-year pre-tax profit from continuing operations was $126 million, up $3.3 billion from a year ago. Fourth-quarter pre-tax loss was $620 million, an improvement of $1.3 billion. * All Automotive operations, with the exception of North America, were profitable for the full-year, excluding special items, and all Automotive operations achieved significant improvements when compared with 2006. * Significant progress made on our plan to aggressively restructure to operate profitably, accelerate the development of new products our customers want and value, finance our plan and improve the balance sheet, and work together effectively as one team, leveraging our global assets. DEARBORN, Mich., Jan. 24, 2008 - Ford Motor Company [NYSE: F] today reported a 2007 full-year net loss of $1.35 per share, or $2.7 billion. This compares with a 2006 full-year net loss of $6.72 per share, or $12.6 billion. Ford's 2007 revenue, excluding special items, was $173.9 billion, up from $160.1 billion a year ago. The increase primarily reflected changes in exchange rates, higher net pricing and improved product mix. For full-year 2007, Ford earned a pre-tax operating profit from continuing operations, excluding special items, of $126 million. Including taxes, Ford's full-year loss from continuing operations was $366 million, or 19 cents per share, compared with a 2006 loss of $2.7 billion, or $1.44 per share. Special items, which primarily reflected non-cash charges associated with a Premier Automotive Group (PAG) asset impairment (related to Volvo) and a change in business practice for providing retail incentives to dealers throughout the year, reduced full-year pre-tax results by $3.9 billion or $1.18 per share, which included a reduction in revenue of $1.4 billion. Automotive gross cash, which includes cash and cash equivalents, net marketable securities, loaned securities and short-term VEBA assets, was $34.6 billion at Dec. 31, 2007, an increase of $700 million from year-end 2006. "Each of our Automotive operations is improving, and we are encouraged by the progress, which validates our strategy and plan," said Ford President and CEO Alan Mulally. "In 2007, we introduced great new products around the globe that received strong third-party endorsements for styling, quality and safety. This year, we have some outstanding new product introductions including the Ford Flex, Lincoln MKS, and Ford F-150 in North America, and Ford Kuga and the production version of the Ford Verve concept in Europe." * Reached agreement with the United Auto Workers (UAW) on a new four-year national labor contract, which significantly improves the company's competitiveness going forward. * Continued to align capacity to match demand and improve productivity in North America, and reduced personnel by 32,800 in 2007. * Achieved $1.8 billion in cost savings in 2007 (at constant volume, mix and exchange; excluding special items). * Introduced Ford SYNC - the company's award-winning, fully integrated, voice-activated in-car communications and entertainment system developed in association with Microsoft - which will be available in nearly every Ford, Lincoln and Mercury product by the end of 2008. * In the U.S., Ford, Lincoln and Mercury crossover utility vehicles led the fastest-growing segment with a sales gain of 62 percent in 2007. * The Ford Mustang convertible made history as the first sports car and first convertible to earn the highest possible safety ratings from the National Highway Traffic and Safety Administration (NHTSA). The Mustang convertible earned five-star ratings in all crash test and rollover categories. * Ford Taurus, Taurus X and Mercury Sable earned Top Safety Pick ratings from the Insurance Institute for Highway Safety (IIHS) for achieving the highest possible ratings in frontal, side and rear crash test performance. They also earned five-star crash-test ratings from NHTSA. * Ford Europe captured Autocar Magazine's annual "Car Company of the Year" award. * Ford Mondeo joins three other models - Ford Focus, Galaxy and S-MAX - with a five-star performance on the Euro NCAP Top 10 list, reinforcing Ford Europe's position as the manufacturer with the highest number of vehicles in the top 10 for adult occupant protection. * Ford South America had record pre-tax profits and unit sales were up 19 percent year-over-year. * Land Rover achieved a third straight year of record unit sales. * Volvo S80 won AutoMundo Magazine's 2007 Car of the Year Award, and Volvo C30 was named Automobile Magazine's 2008 All-Star. * Launched operations at new assembly plant in Nanjing, China, that will produce the latest small-car models from both Ford and Mazda. 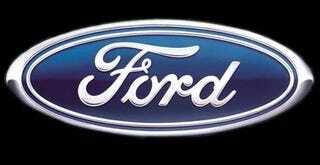 * Ford China unit sales rose 26 percent in 2007, outpacing industry growth in China. * Mazda CX-9 named "North American Truck of the Year," the first-ever Mazda to win the honor. * Completed the sale of Automobile Protection Corporation (APCO), Aston Martin and two Automotive Components Holdings plants. * Reduced Automotive debt by $2.7 billion by completing trust preferred exchange offer and debt/equity swap. The company reported a 2007 fourth-quarter net loss of $1.30 per share, or $2.8 billion. This compares with a net loss of $2.98 per share, or $5.6 billion in the same period a year ago. Ford's fourth-quarter revenue, excluding special items, was $45.5 billion, up from $40.3 billion a year ago. The increase reflected changes in currency exchange rates, higher net pricing, and improved volume. Ford's fourth-quarter after-tax loss from continuing operations, excluding special items, was 20 cents per share, or $429 million, compared with a 2006 after-tax loss of $1.03 per share, or $2.0 billion. Special items reduced pre-tax results by $3.9 billion or $1.10 per share in the fourth quarter, which included a revenue reduction of $1.4 billion. These primarily reflected non-cash charges associated with a PAG asset impairment (related to Volvo) and a change in business practice for providing retail incentives to dealers. The following discussion of the results of our Automotive sector and Automotive segments/business units is on a basis that excludes special items. See tables following "Safe Harbor/Risk Factors" for the nature and amount of these special items and any necessary reconciliations to U.S. GAAP. For the full year, Ford's worldwide Automotive sector reported a pre-tax loss of $1.1 billion, compared with a pre-tax loss of $5.1 billion a year ago. The improvements primarily reflected higher net pricing, lower costs, and favorable mix, partially offset by unfavorable changes in currency exchange rates, and higher net interest expense. For the fourth quarter, Ford's worldwide Automotive sector reported a pre-tax loss of $889 million, compared with a pre-tax loss of $2.3 billion during the same period a year ago. The improvements were more than explained by higher net pricing and improved volume and mix, partially offset by unfavorable changes in currency exchange rates and higher net interest expense. Worldwide Automotive revenue for 2007 was $155.8 billion, compared with $143.3 billion a year ago. Total fourth-quarter Automotive revenue was $40.8 billion, up from $36.0 billion a year ago. Total company vehicle wholesales in 2007 were 6,553,000, compared with 6,597,000 units a year ago. Fourth-quarter vehicle wholesales were 1,643,000, up from 1,568,000 a year ago. North America: For 2007, Ford's North America Automotive operations reported a pre-tax loss of $3.5 billion, compared to a loss of $6.0 billion a year ago. The improvement primarily reflected higher net pricing, favorable mix, and lower costs, partially offset by a number of factors including lower volumes and unfavorable changes in currency exchange rates. For the year, revenue was $70.5 billion, up from $69.4 billion a year ago. For the fourth quarter, North America Automotive operations reported a pre-tax loss of $1.6 billion, compared with a loss of $2.7 billion a year ago. The improvement primarily reflected higher net pricing, and improved volume and mix, partially offset by higher costs and unfavorable changes in currency exchange rates. Fourth quarter revenue was $17.0 billion, up from $15.1 billion a year ago. South America: Ford's South America operations reported a full-year pre-tax profit of $1.2 billion, compared with a profit of $551 million a year ago. The improvement was explained by higher net pricing and volume, partially offset by increased costs. Full-year revenue improved to $7.6 billion from $5.7 billion in 2006. For the fourth quarter, Ford's South America operations posted a pre-tax profit of $418 million, up from $114 million a year ago. The improvement reflected higher net pricing and higher volume. Fourth-quarter revenue improved to $2.4 billion from $1.7 billion a year ago. Ford Europe: Ford Europe's full-year pre-tax profit was $997 million, up from $455 million in 2006. The improvement reflected continued progress on cost reductions, improved volume and mix, and higher net pricing. Full-year revenue improved to $36.5 billion from $30.4 billion in 2006. For the fourth quarter, Ford Europe pre-tax profits were $223 million, up from $218 million a year ago. The improvement was primarily explained by favorable cost performance, offset by lower volume. Fourth-quarter revenue was $10.4 billion, an improvement from $8.8 billion a year ago. Premier Automotive Group (PAG): PAG reported a full-year pre-tax profit of $504 million, compared with a loss of $344 million a year ago. The improvement was more than explained by cost reductions across all brands, volume growth, and higher net pricing at Land Rover, partially offset by unfavorable changes in currency exchange rates and adverse mix. Volvo incurred a loss for the full year. Full-year revenue for PAG was $33.2 billion, compared with $30.0 billion in 2006. For the fourth quarter, PAG reported a $59 million profit, compared with $174 million in the same period a year ago. The decline was more than explained by Volvo, primarily reflecting adverse currency exchange rates, product mix, and the non-repeat of one-time profit impacts included in 2006 results. Within PAG, Volvo was breakeven, with the combined Jaguar and Land Rover operations accounting for the profit. PAG revenue for the quarter was $9.0 billion, compared with $8.6 billion a year ago. Asia Pacific and Africa: For full-year 2007, Asia Pacific and Africa reported a pre-tax profit of $40 million, compared with a pre-tax loss of $185 million a year ago. The improvement primarily reflected favorable cost performance and net revenue, and higher profits from our Chinese joint ventures, partially offset by adverse mix and exchange. Full-year revenue was $7.0 billion, compared with $6.5 billion a year ago. For the fourth quarter, Asia Pacific and Africa reported a pre-tax profit of $10 million, compared with a pre-tax loss of $135 million a year ago. The improvement primarily reflected favorable net revenue, improved cost performance, and higher profits in China. Fourth-quarter revenue was $1.7 billion, compared with $1.4 billion in 2006. Mazda: For the full year, Ford earned $204 million from its investment in Mazda and associated operations, compared with $168 million in 2006. Ford earned $83 million from its investment in Mazda and associated operations in the fourth quarter, compared with $51 million a year ago. Other Automotive: Other Automotive, which consists of interest and financing-related costs, accounted for a full-year pre-tax loss of $547 million, compared with a pre-tax profit of $247 million in 2006. The decline primarily reflected the non-recurrence of last year's tax-related interest income of about $670 million, and higher net interest expense associated with financing implemented during the fourth quarter of 2006. Fourth-quarter Other Automotive results included a pre-tax loss of $128 million, compared with a pre-tax loss of $59 million a year ago. The change was more than explained by higher net interest expense. For the full year, the Financial Services sector earned a pre-tax profit of $1.2 billion, compared with a pre-tax profit of $2.0 billion in 2006. For the fourth quarter, the Financial Services sector earned $269 million, compared with $416 million a year ago. Ford Motor Credit Company: Ford Motor Credit Company reported net income of $775 million in 2007, down from earnings of $1.3 billion a year ago. On a pre-tax basis, Ford Motor Credit earned $1.2 billion in 2007, down $738 million from 2006. The decrease in full-year earnings primarily reflected the non-recurrence of credit loss reserve reductions, higher borrowing costs, higher depreciation expense for leased vehicles and higher costs due to Ford Motor Credit's North American business transformation initiative. These factors were partially offset by lower net losses related to market valuation adjustments from derivatives and improved operating costs. In the fourth quarter of 2007, Ford Motor Credit's net income was $186 million, down $93 million from a year earlier. On a pre-tax basis, Ford Motor Credit earned $263 million in the fourth quarter, compared with $406 million in the previous year. The decrease in fourth quarter earnings primarily reflected the non-recurrence of credit loss reserve reductions, higher borrowing costs and higher depreciation expense for leased vehicles, offset partially by lower expenses and the non-recurrence of losses related to market valuation adjustments from derivatives.